Adorable rabbit ornament in a rustic, distressed grey. Friendly looking figurine for indoor and outdoor decoration. A handsome little chap that will add a great feature to your home decor or for placing in your garden. Distressed finish with intricate detailing on the facial features and fur. 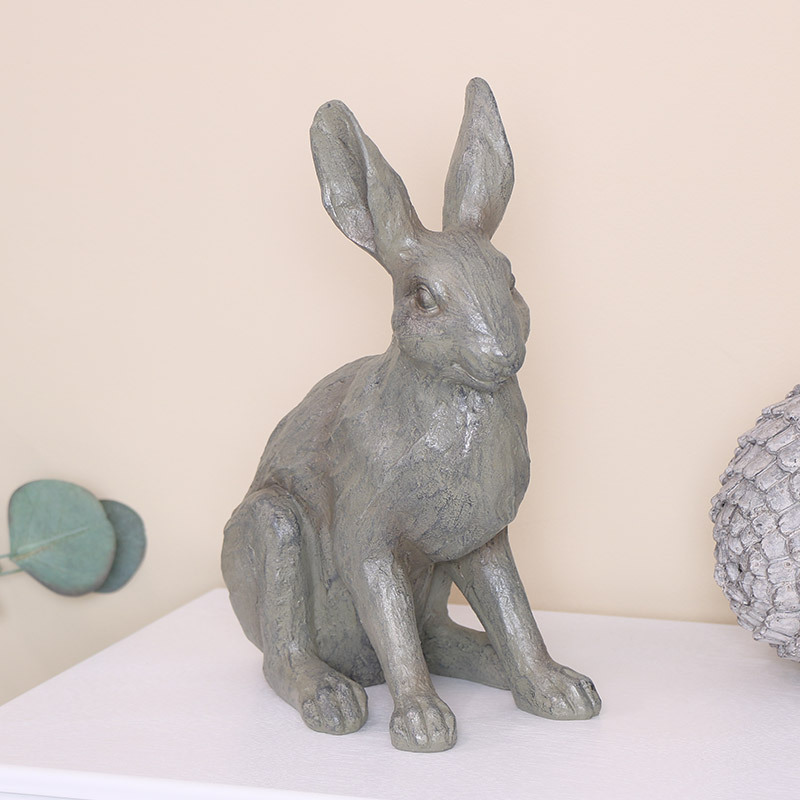 This rabbit will make a great gift idea for the animal lovers and gardeners. Adorable rabbit ornament in a rustic, distressed grey. Friendly looking figurine for indoor and outdoor decoration. A handsome little chap that will add a great feature to your home decor or for placing in your garden. Distressed finish with intricate detailing on the facial features and fur. 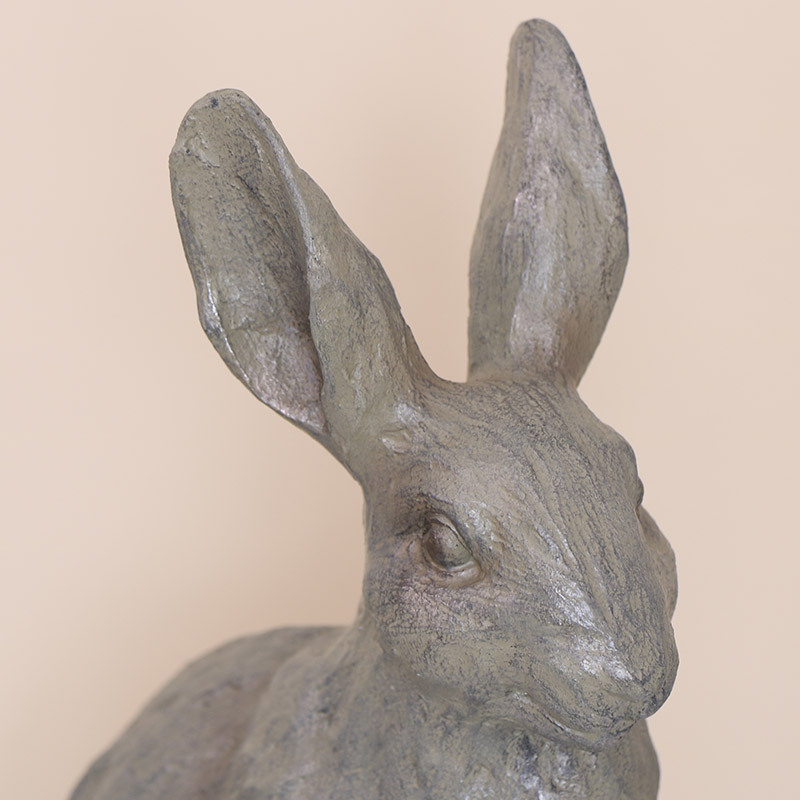 This rabbit will make a great gift idea for the animal lovers and gardeners. Made from resin and finished in a rustic, distressed grey.